This is kind of a variation of my patterns that I call the "Surfer" style pattern. 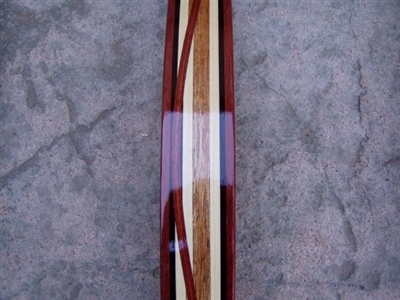 I threw in a curving stripe of Mahogany surrounded by two thin stripes of Purpleheart. This pattern will blow your mind.